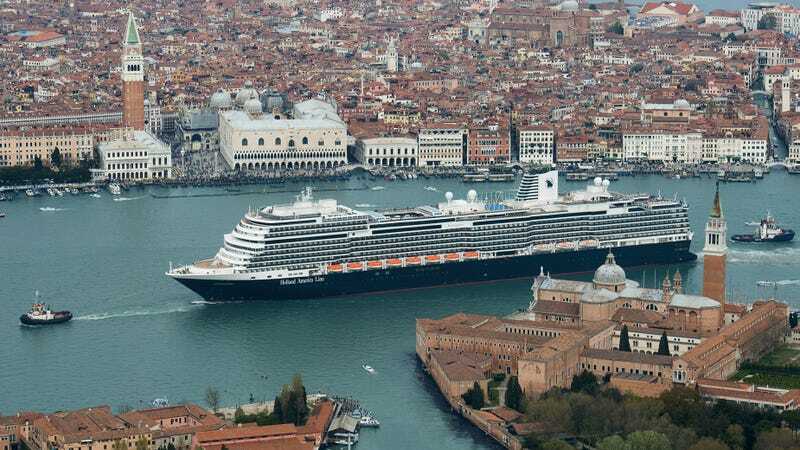 The ms Koningsdam in Venice. Today’s cruise ships “make the Titanic look like a kayak” according to this video, and it’s true, by like, a factor of five. The way these massive mobile vacations operate and make money is fascinating, and simplified quite nicely in this animation. It was probably pretty obvious that cruise ship companies have high expenses and thin margins, but there’s some pretty interesting information in here about why these vessels are registered in certain places and why so many dock in Ensenada, Mexico before returning to the United States. And while we’re talking cruise ships, here’s a fun slideshow comparing an immense modern Oasis-class cruise ship to everyone’s favorite ill-fated vessel: the Titanic. I don’t think I could be convinced to spend a long time confined to a ship, unless it was the only way to get someplace else I wanted to be. But I am not ashamed to admit that I’m fascinated by the logistics of transportation and especially how such sizable vehicles are operated.